Meanwhile, two other ball caps drove the search for the Boston Marathon bombers. The white cap, in particular, stood out in photos. In a scene out of the movies, the FBI and other authorities gathered in a hotel to scour thousands of images and videos from private surveillance cameras, professional and amateur photographers, and the offerings of ordinary people much like me who can’t stop snapping pictures with their phones. In this time-stamped world, some picture would surely show enough to make a case. Some image would reveal the perpetrator’s identity. My identity is multi-fold. I am a Christian pastor (UCC flavor), a writer, a wife and mother, a Bernese Mountain Dog obsessive, a knitter of mostly socks, a Virginian by birth, an adoptee, a recovering Southern Baptist, a coffee drinker, a lesbian latecomer, a lover of books and music, a Volvo owner, a registered Democrat and a soon to be Smith College mom. Observing me on last week’s trip to Northampton might have provided insight into a few of these things. I drove the Volvo. I bought the ball cap. I shopped at WEBS, America’s Yarn Store. I pretty much chased down a woman walking a Bernese puppy. If you asked my new neighbors in Pennsylvania about me, they might be able to get as far as the Volvo. Since last week, we’ve heard stories from classmates and neighbors, car repair clients, guys at the gym. We’ve seen school pictures and boxing profiles and heard about a scene made at the mosque. In Cambridge, people proud of their diverse community cannot understand. They include everyone. There is so much variation of language and culture, religion and national origin. How could this happen? We don’t know all the pieces. I left some off my list: raisin hater, New York GIANTS fan, trained Interim Minister, short, grey-haired, brown-eyed. On a hot dog, I like all the condiments. My ears are pierced, but it took more than one try. Do you have a better picture of me now? When I heard the news on Patriot’s Day – there’s another thing, for 25 years I lived in the only other state that celebrates it – when I heard the news, I first thought, “Please, whoever did this, let them not be Muslim. Please, O God. Let it be someone else. Their perceived otherness is too easy, too reflexive and accustomed. Let it be a man whose wife left him for a marathoner, or a faux-Baptist or a white supremacist. We could identify with them instead of running the risk of condemning a whole religion. We could question our culpability, our resentments and prejudices and past injuries, all the things that can influence human behavior toward darkness. For a short time, I felt close to the situation. I listened to the Thursday night press conference on NPR, in my Volvo, driving home from Smith. When I heard photos would be released, that they would be pictures of two young men, I wondered for a long, hard minute what it would be like to see my son in such a picture. I have a son in Boston, age 22, studying at New England Conservatory. 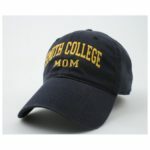 (There is no ball cap for a conservatory mom.) He was on the Orange Line with his clarinets, A and B-flat, when the bombs exploded. When he arrived at school, getting off the T at Mass Ave, he heard the news. His cellphone didn’t work, so we messaged on Facebook. A few days later, for a long, hard minute, I pictured my son’s face. I had a heart for some other mother. Soon we heard words associated with that mother’s family: Chechnya, Dagestan, places I’ve heard of but needed Google Earth to locate for sure. I hear Chechyn and remember a rebellion against the Soviet Union. I hear Chechnya and think violence. Despite my sympathy for people formed by countries where violence is so daily it is hardly news — imagine that — despite my sympathy for their suffering,I feel immediately free to take a big step back. 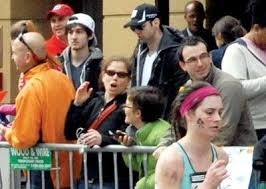 Her cap says Marathon Bomber Mom. Not mine. This change, this freedom, comes at a primal level, the one where I considered my own child’s safety last Friday morning, texting him before 6 a.m. to say the T was not running, learning he was already halfway to the station, breathing deeply again when he returned to his apartment. I would do anything to protect him, just as Dzhokhar and Tamerlan’s mother is trying to do in a press conference from Dagestan today. In my higher mind, I continue to wish the bombers were not young Muslim men. I think about how it feels to have your name mispronounced, an experience familiar to me. 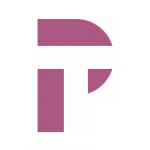 I listen to Robin Young’s nephew talk on “Here and Now” about his high school friend from Cambridge Rindge and Latin; I see the picture of the two boys dressed up for prom. I reflect on the desire to celebrate his capture, certainly understandable and especially in Watertown, and the celebration of law enforcement. I feel relief that the tone of the local conversation is less about Islam than one might expect. I note the uniquely local ritual acts, Neil Diamond’s appearance at Fenway Park and the Red Sox in their uniforms proudly and simply reading Boston. I wonder if either of the brothers ever wore a Red Sox cap? I ponder the very small differences between first century Jews and Samaritans, and how from those small differences grew an abiding hatred. Jesus told a story about a Samaritan, encouraging his listeners to look beyond the identifying marks that bias us to the actual hearts of people. But wait! Isn’t there something violent about many practitioners of *our* faith? Aren’t their people wearing our team colors who also oppress women? I don’t like to be identified with them anymore than imams in Boston want to be identified with the Tsarnaev brothers. After a week of listening to news and commentary, here’s what I know about the young man in the white cap. He is 19, and in the hospital. He is in terrible, terrible trouble for committing a horrific act while automated cameras unwittingly made a record of it. His identity will forever be Murderer, Terrorist, Bomber. I admit, I find it hard to pray for the young man in the white cap and his mother. I’m interested in the psycho-social mysteries that beg for solving. Deservedly disgruntled immigrants? They wouldn’t be the first. Displaced persons who never found a sense of home? Sleeper agents? Pursuing these theories keeps me at a distance, and that dark distance of perceived differences breaks the world in pieces. I find it hard to pray for him, for his dark heart. If he knew what he was doing — how could he not know what he was doing? Yet the hope of forgiveness extends to him, by God’s grace. My heart is pierced, but it took more than one try. God can pierce our darkness. Forgiven. It would look pretty smug on a ball cap, but it’s assured for all who open their hearts to God. 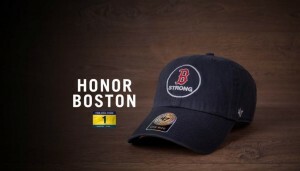 That’s my hard-won prayer for Dzhokhar, that someday he will wear a different cap. I have a picture of it in my head, a white cap with red letters, a sign of the hope and grace we all need, an identity God grants to every one of us.